Happy Monday- the last Monday of 2015! This year has absolutely flown by, and will be a memorable year for many reasons. One big reason is that I started my blog this year! I've had such an amazing time connecting with all of you and even gaining a few friends from the blogging world. I've written about a variety of topics in the past few months, so today I wanted to kick off my 2015 Favorites Week by sharing my favorite posts in a few different areas. I hope you enjoy this trip down memory lane! My trip to Mallorca this spring was one of the most amazing experiences ever. The places that we visited were breathtaking, and that was definitely a highlight of my year! 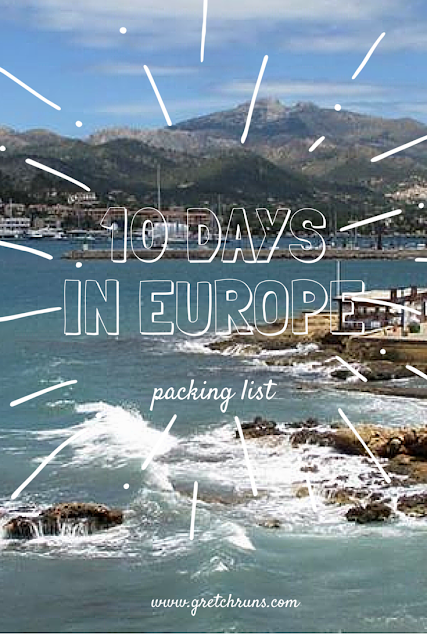 I had a lot of fun planning out this post after my European vacation. I picked up tons of tips over the years to pack for a trip using only a carry-on, so I was excited to share these tips and a packing list! This was my best-received and most viewed post of the year, and I'm so glad that everyone liked it so much! I have to admit that writing this really showed me how much money I waste, so I've taken even more steps to save money. I lowered my data plan even more, and haven't bought lunch once since that post was published! Even though Dan didn't propose last year, that's when I shared the story of our engagement! It was absolutely perfect, and I loved reliving it while I wrote the post. I also shared a few different suggestions on places to visit in Outer Banks as well! 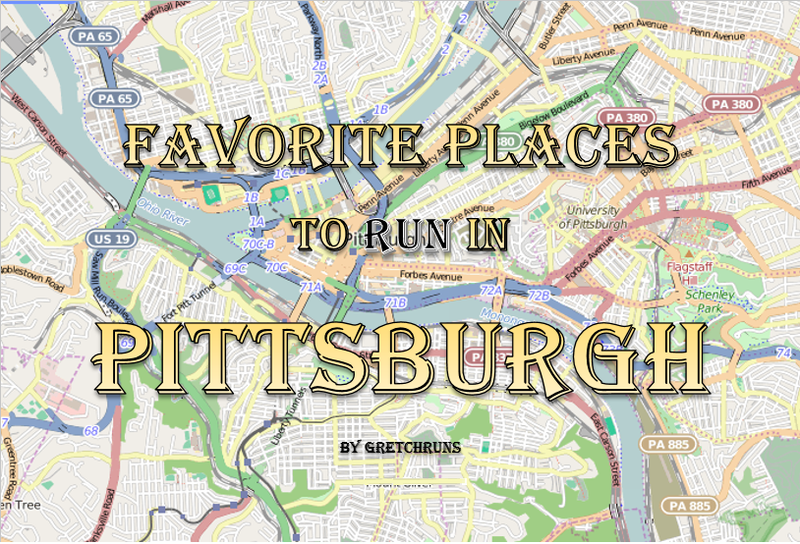 I've been running in Pittsburgh for 17 years now, so I feel fairly confident in recommending routes in the area! Both of these posts were really fun for me to put together, and I hope that they're helpful for those looking for new places to run, or for anyone visiting! I don't typically share really emotional or personal posts, so this was a bit outside of my comfort zone! Like I said, I've been running for quite a while, so it was great to share my story and talk about my bumpy road with running. This was one of my earliest posts that I shared, but it was so much fun to write! 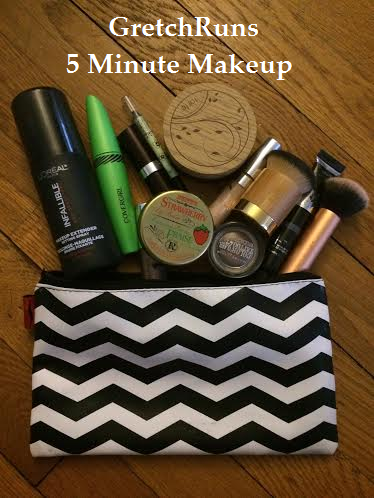 I think this may be a recurring post because my makeup routine is constantly changing. 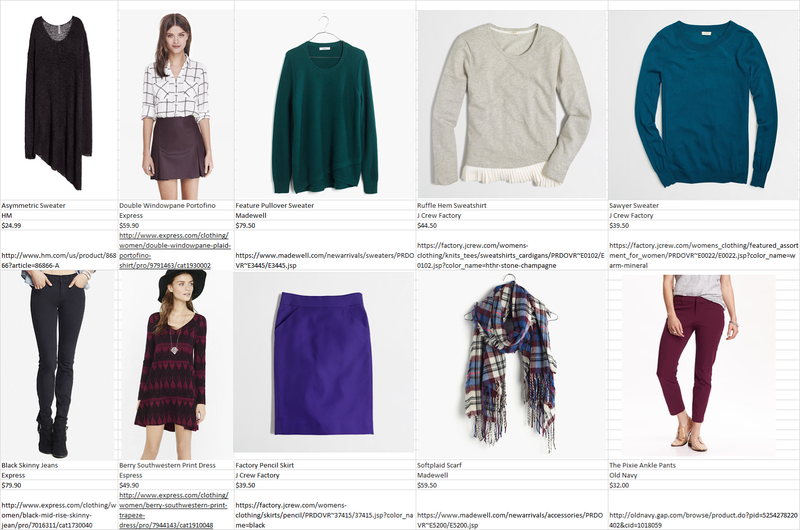 I still love all of these products though, so it's still worth a read! One of my favorite linkups to join is Anne's Pin to Present. 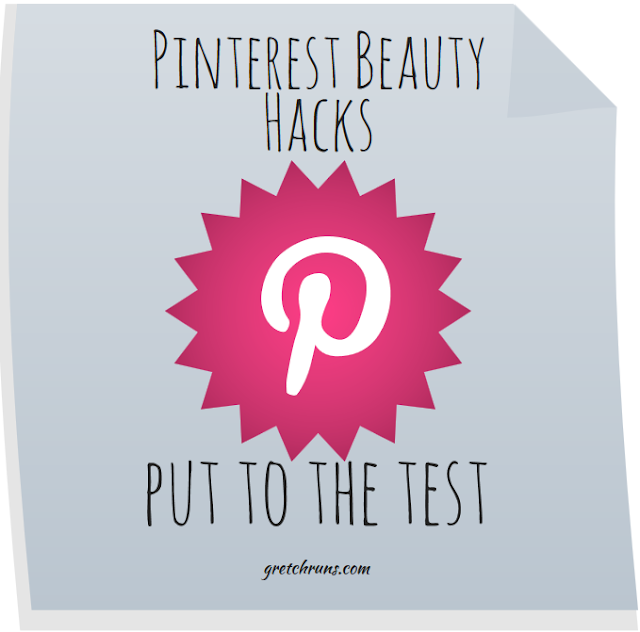 I loved putting together my post on testing out Pinterest hacks, and I'm looking forward to trying out more pins in the future! Bloggers- what is your favorite post that you wrote last year? Readers- what type of content would you like to see more of next year? Are there any other posts that you really liked or disliked? I love this because it gave me a chance to go back and see your posts that I missed while I was not in the blogging world! I LOVED reading about you and Dan's proposal that is the sweetest thing in the world! He did so good! Thanks Margaret! Glad that you liked that post :) He did do a great job for sure! This is a great post because it lets people go back and see some of the stories they may have missed. I know i didn't read some of them and this gave me a chance to catch up. I need to go back and read your travel posts - those trips look gorgeous! Also, your engagement ring is so beautiful and the story is so sweet! Your make up posts are always my favorite. I hope you and Dan had a wonderful Christmas! Hope you enjoy them Laura! I love my ring as well, so thank you very much!! Happy New Year! TAKE ME TRAVELING WITH YOU. I'm so glad that we met this year and then MET this year. You are such a treat and I've loved getting to know you! So glad that we met too! Your visit was definitely a highlight and I had such a great time chatting over lunch :) Happy holidays Suz! I'll have to check out your running in Pittsburgh list! This is awesome!! What a fun way to reflect on the year. Also, that is so sweet that you got to relive your engagement story while writing it out! Such a beautiful ring as well! Love this post! I haven't read some of these, so it's nice to be able to get a view of your own favorites in a snapshot! Love this! You have had some really great posts! What a perfect day for me to come to your blog for the first time! I loved looking at all of your favorite posts! I'm excited to follow you more! You'd think I would want to read more running posts, but I actually don't think I like them as much as I love reading stuff about makeup and fashion and music. I'll read anything that you write though because you've just got this contagious happiness. I think my favourite post from this year was the one I wrote about homosexuality "vs" Christianity. That was a big one. That's great to know Suzy! Thanks for the input :) I'll have to check out that post of yours. thanks for the round up of your fave posts--def something for everyone!! happy new yearrrrr! I loved reading about this! 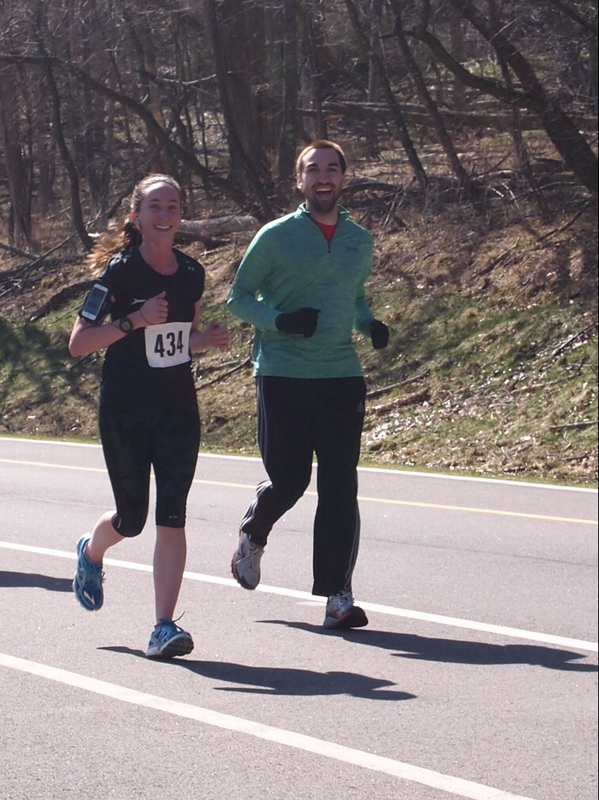 I love reading about running and your travels! I'm super jealous of your Europe travels! My favorite posts I've written would probably be about my cruise to Alaska or basically anything recapping 2015. I'm a sucker for year in review posts so I love those! Thanks Amanda! A cruise to Alaska sounds amazing..definitely on my bucket list. I'll check out your post! This is awesome! I loved seeing your top posts across different categories! SO impressed that you haven't purchased lunch once since publishing your money saving one, and I need to go back and review that one apparently to get my holiday spending mode back to normal! Thanks Gina! Writing a post like that might help you as well..it helped me realize how much money I was wasting and I've been doing great ever since! i love all your different posts, so fun! and wow, not eating out for lunch is amazing, thats definitely a goal of mine. i loved your why i run post. i wish i'd been running as long as you! that is amazing. Thanks Kristen! Meal planning is so important for me packing my lunch. Glad that you liked those posts! SO do I! Thank you so much and yours is also beautiful! Wow, that proposal looks beautiful! Beach sunsets are SOOO perfect. :) I always think of them as a manifestation of God's great paintings.